T-Mobile offered free LTE data in Brazil for its customers who were traveling there for the olympics, then later extended the offer for the paralympics. It also had a similar offer for those who were traveling to some European countries. 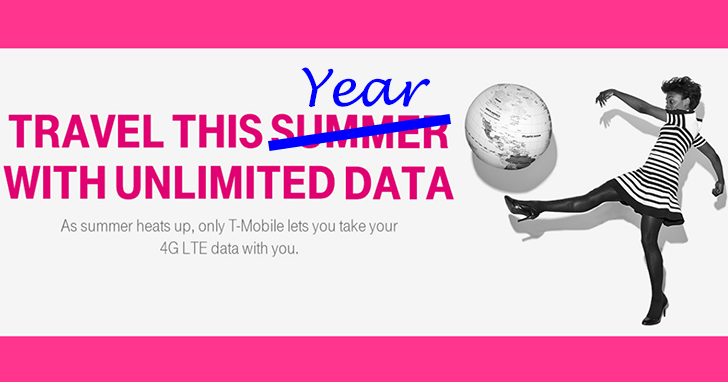 The offer starts on October 1, so don't go using allthedata just yet. It seems that texting is also unlimited in these countries, as part of Simple Global, and calling is charged at a flat rate of $0.20/min. If I lived in the US and was about to travel to one of these countries for business or leisure or maybe even during the holidays, I'd just grab a T-Mo SIM card. It seems to be the most convenient way to get unlimited data without having to understand what each country's operators and data plans are like.